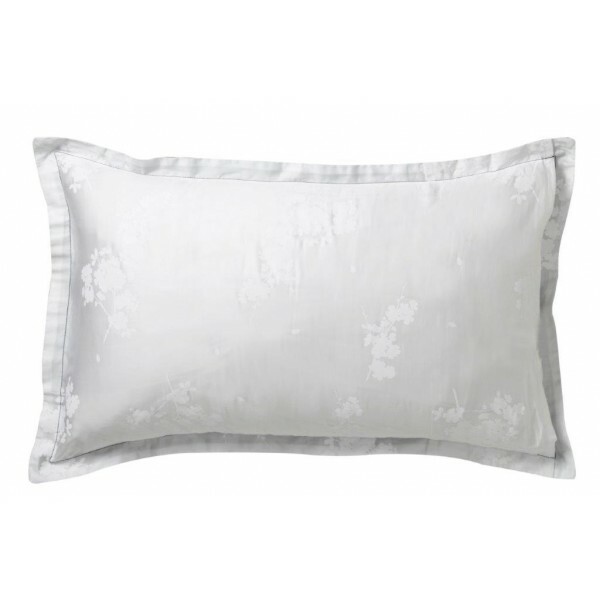 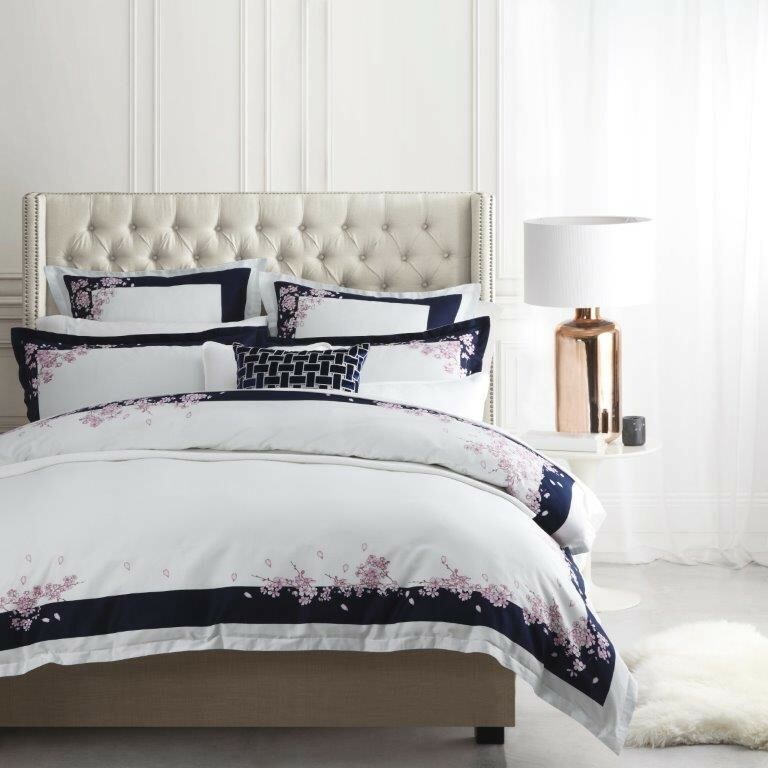 This beautiful design takes direct influence from Wedgewoods Spring Blossom collection. 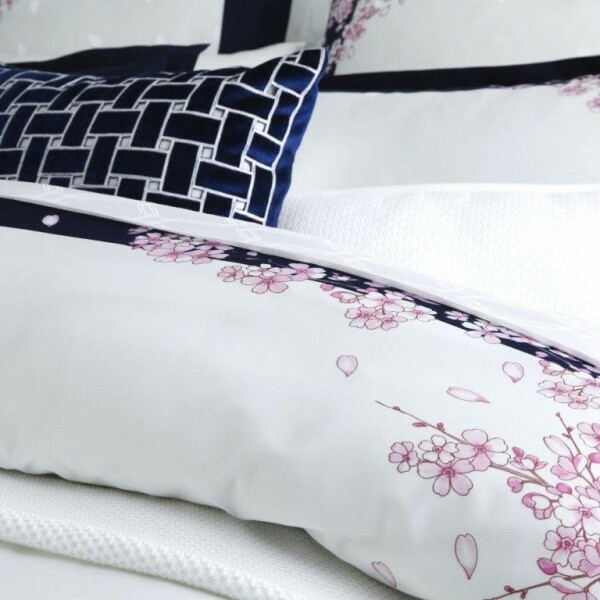 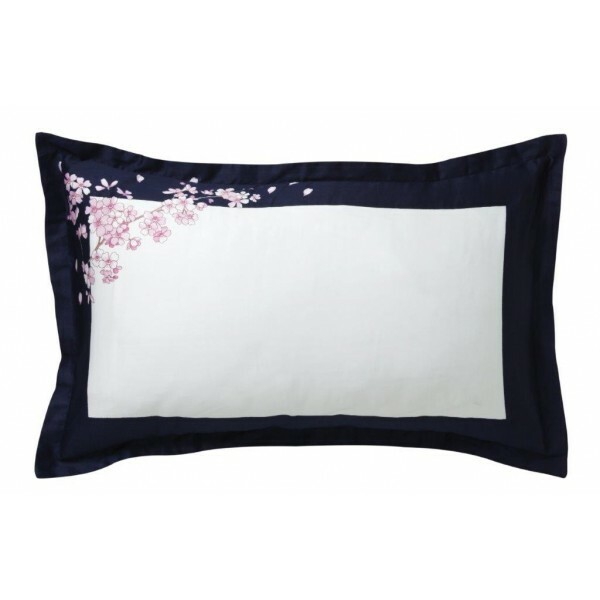 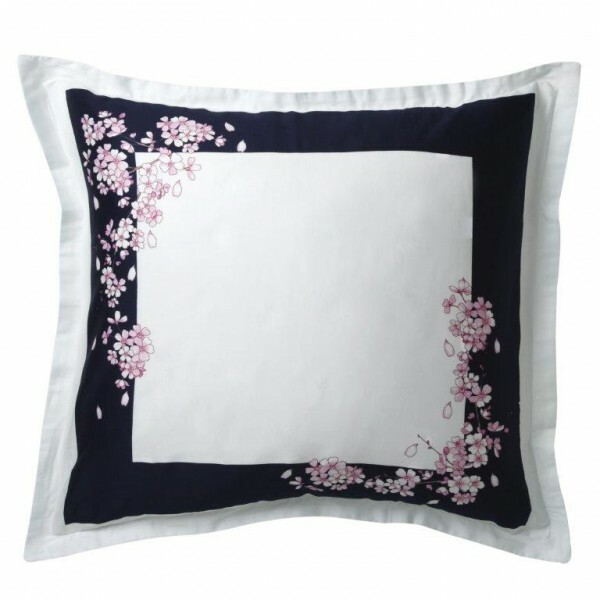 A striking navy panel frame highlights traditional Japanese blossoms in soft pink over a crisp white ground. 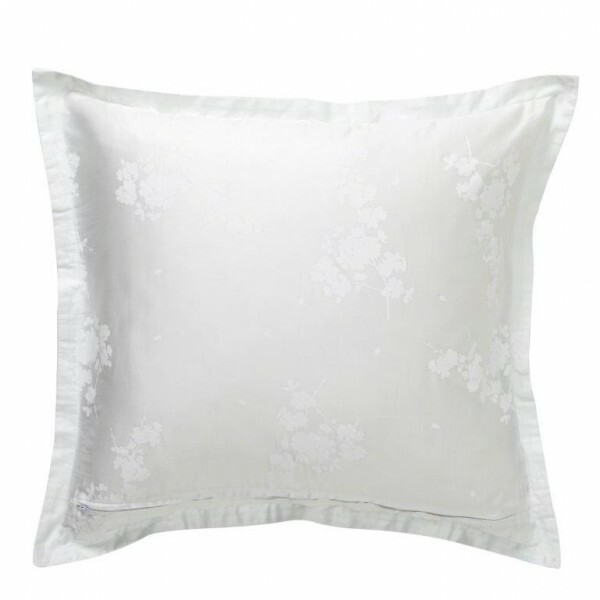 The edges are self flanged to complete the tailored look. 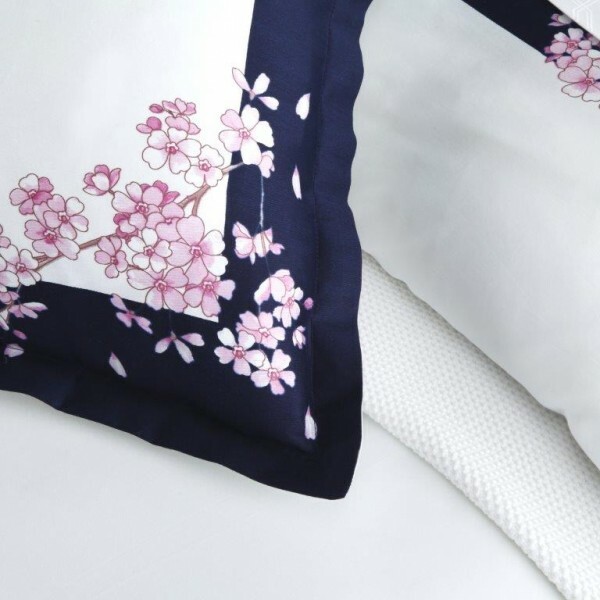 The reverse features a subtle paste print, mirroring the spring blossom on the front.